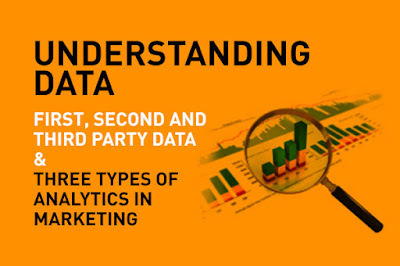 Home » marketing » social media » Data made simple: What is first, second and third party data? Every one in marketing knows the importance of data today. 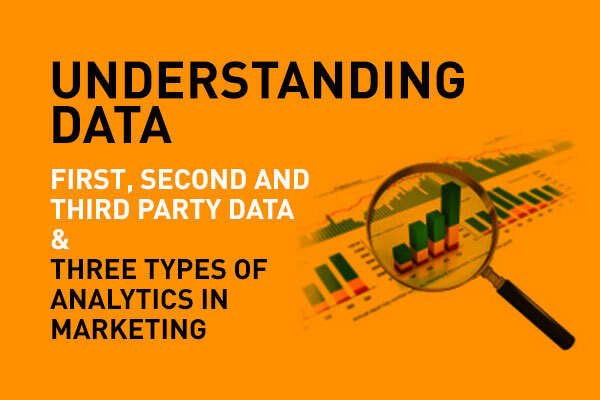 What's important to know and understand the three types of data available to us – first party, second party, and third party data – and how do we benefit from it? First party data is data a company collects directly from its customers and audiences. This is the most relevant kind of data – it’s the information you collect and collate directly from your customers and your audiences, It is the most and accurate and insightful data – and the most relevant to your business and your marketing efforts. First party data gives you a more accurate picture of your audience and your customers than if you bought some data from another resource or culled it from parallel sources that was somewhat ‘representative’ of your audience but taken from people who largely aren’t your customers at all. Also, your first party data is yours – it is unique to you, to your products and services, It is a direct feedback to you. You own it 100%! In several surveys, around 80% of marketers said that first party data is the one type they used the most, and it was the kind that provided the most valuable insights. What's most important is that your brand looks out for this – and makes listening key to the marketing process. Where do you get first party data? From your owned media, of course. The most frequently cited source for collecting first-party data was a brand’s website (70% for those with strong data ROI), while 63% collect it at the point of sale and 61% via email or SMS. Second party data is really an extension in some ways of first party data. It is another brand's first party data that is shared with you directly. Usually this kind of data is sold or shared depending on common interests. It enables brands to exchange data with each other in situations where it would benefit both parties. A car rental agency may benefit from an airline's data. A restaurant in the neighborhood of a large hotel may have reason to get data from the hotel. One can actually get a lot of insights from second party data, if the information is mined properly and relevant bits are extracted in a timely and organized manner. Often second party data is converted into insights and then shared – this is value-added second party data. Where do you get second party data from? Brands whose data sets might compliment yours and vice versa, as mentioned above, agree to exchange, buy or sell data – that's second party data. There's usually a pre-determined and well-defined agreement, and marketers set goals and KPI's to understand if that second party data is really benefitting their efforts. Second party data is not very easy to gather – because it is fairly limited in supply. Third party data is data that is collected from audiences and customers by a company that is not directly involved with the audiences and customers. These are what we call 'bought' lists. Third party data is usually available pre-collected from sources, and is less reliable, and less time and context sensitive. Because third party data is ‘off the shelf’, it is certainly not unique, which of course diminishes their value and means competitors could easily access the same insight. Third party data has been around forever – remember mailing lists you would buy for email marketing? Or sms marketing lists of a bunch of numbers? Where do you get third party data? Third party data can be purchased either from a data company specialising in data collection or any other business that has valuable data sets, and is willing to sell or share it. Usually, these data sets are costly to acquire and because they can be sold to anyone, the ROI on this is really low. There are three kind of analytics to work with when you have data. They are descriptive analytics, predictive analytics and prescriptive analytics. Descriptive analytics is the simplest class of analytics, one that allows you to condense big data into smaller, more useful nuggets of information. The purpose of descriptive analytics is to summarize what happened. Around 80% of business analytics – most notably social analytics are descriptive. Number of posts, mentions, fans, followers, page views, are all just simple descriptive sets. Prescriptive analytics is an extension predictive analytics.It is developed when we need to prescribe an action, so the business decision-maker can take this information and act accordingly. Data is crucial in marketing today. Data is crucial for social media engagement, for determining targeting, spends, advertising messages, for product development – for every aspect in marketing. Data today is driving advertising, and media agencies in particular are using this for programmatic media as well as advertising. Just as long we know how to use it properly, and have the right people in place to be able to convert data into information and information into insight. That's the basics. That's Digital Marketing Strategies 101. By definition, big data is is a collection of data from traditional and digital sources inside and outside your company that represents a source for ongoing discovery and analysis. So, we understand that all of this data is really made of of three kinds of data. Just adding here, that your post on trends mentions what you call in the now data or real time data. Why didn't you mention it on this post as possibly the most relevant kind of data that marketing people have at hand today?